Entrances to Manila Bay reported mined - Courageous entrance of Admiral Dewey with his Ships -Condition of the Spanish Fleet -Ships scuttled by their Commanders -Description of the Engagement-Little or no Damage done to the American Vessels - Fears of European Merchants -Admiral Dewey's Opinion of the Battle-A Dangerous Torpedo Boat - Capture of Cavite. ON the night of the 3oth of April, I898, Commodore Dewey arrived off the island of Corregidor, which from the map will be seen to control the entrance to the bay of Manila. This island is some three miles distant from the mainland of Bataan on the north, and some twenty miles distant from the mainland of Cavite province on the south. Vessels can enter the bay by either channel. Both had been reported to Commodore Dewey to have been so "dangerously mined" that neither merchant nor war vessels could enter Manila without certain and total destruction. This was the position in which the American commander found himself on that dark night of the 3oth of April. All lights on the mainlands and on Corregidor had been extinguished, and all lights on the American ships had also been screened. Under the most favorable circumstances, navigation is difficult and dangerous in these channels. How much more difficult must Dewey have found it! Notwithstanding the darkness and the reported mines, he bravely determined to enter the bay. He issued instructions for his ships to steam in single file with his own flagship "Olympia" at their head. That this was a courageous step none can doubt, and all must admire and praise him for it. He had not travelled far before he was discovered by the Spaniards, who commenced firing their old twelve centimetre guns; but these were unable to do any damage to the American ships. To such attentions the Commodore paid no heed, — he did not fear them, ---his only anxiety was lest he should be blown to pieces by the supposed mines. Dewey, with his squadron, having entered the bay, had no further difficulty in steaming the thirty miles to Manila and thence to Cavite. After sailing in a circle between Manila and Cavite, the American fleet entered the cove of Bacoor. The Sangley Point battery then opened fire, but their shells fell short of the American ships. It is not necessary for me to enter into the details of this supposed great battle and greater victory. It is believed by the Americans that their war vessels destroyed the Spanish fleet, but this was not so; the Spaniards in many cases having taken up their positions in shallow water, scuttled their own ships, so that a great many officers and men escaped with their lives. Much ado has been made about very little. Commodore Dewey had received his instructions "to proceed to Manila, and there destroy the Spanish fleet in Philippine waters." Had that fleet been as powerful as was generally believed, and had Dewey met with the opposition that was anticipated, he would, nevertheless, regardless of his own life or the lives of those in his charge, have endeavoured to carry out his instructions. Had the money provided by Spain for the maintenance of Philippine defence not been improperly employed for the enrichment of her representatives in the East, and had her fleet been properly armed, strengthened, officered, and manned, the honour and credit of Spain might have been saved, though there still could have been but one result,-the disappearance forever of Spanish power in the East. Admiral Dewey with indomitable will and with almost unequalled pluck, with his ships manned by men on whom he knew he could rely, men willing to die for their country at his order, could not have failed to crush in a naval engagement the boldest, the fiercest, or the most capable and intelligent of Spanish admirals commanding the finest of Spanish fleets. But the American fleet had practically no contest or engagement in connection with the destruction of the Spanish ships. The first gun was fired at 5.10 A.M. on the Ist of May, and the combat had practically ended at 7 A.M., when the Americans withdrew for their breakfast, returning afterwards at I I o'clock A.M. to complete their victory. With the exception of the " Baltimore," which was slightly damaged, the American ships were uninjured. The European merchants, watching the engagement from the tower of the Manila Club, know how little was the danger the Americans had to face. The Spanish losses, of course, were large, though they have been greatly exaggerated. In all, Spain lost thirteen vessels, many being old tubs, of which, as I have said, several were scuttled by the Spaniards themselves. Three of those vessels have since been raised by the Americans. In this statement of facts, it is not intended in any way to diminish the honour and glory of the victory won by the American fleet in Manila Bay on the morning of the ist of May. Admiral Dewey, whom I have the pleasure and honour of knowing, is one of the kindest and most agreeable of men, one of the bravest and ablest of admirals in the present navies of the world; but he does not himself suggest that this engagement was a fierce encounter, deserving a place in the records of great sea fights. At the close of the engagement it was reported in America, and all over the world, that a desperate and daring attempt was made by a small torpedo boat to destroy one of the American vessels. This boat, it was alleged, shot with great rapidity from the shore at Sangley Point, Cavite, in the direction of the American warships, and only after great difficulty, and a determined struggle, was she sunk by the American guns. It would be well to say that on Sangley Point there is a "slip," or small dock, where vessels can be repaired. It is owned by a Spanish company, with Spanish, English, and Filipino capital. The manager of this slip is a Scotch gentleman, a Mr. Young, whose house is close to the slip and was damaged by the American shells. Fearing that his property was likely to be destroyed, either by fire or otherwise, he packed his small effects in his steam launch, which he despatched to Manila. Mr. Young himself told me, that this launch was the terrible torpedo boat reported to have been destroyed by the American ships. Admiral Dewey took possession of Cavite and the arsenal in that city on the 2d of May, and anchored his fleet within a short distance of its walls. IT is admitted that neither on the ist of May, when the Spanish fleet was destroyed, nor on the I3th of August, 1898, when Manila was taken, was it America's intention to annex the Philippine Islands. After Admiral Dewey had taken possession of Cavite, he had to await further instructions from Washington, his mission to the Philippines having been fulfilled. Meantime he declared the blockade of Manila. Foreign vessels by Admiral Dewey's courtesy were permitted to remain in the bay, and it was at this time that Sir Edward Chichester, captain of the "Immortalite," by his amiability and tact, assisted in removing whatever ill feeling may have existed before the war between the American and the English people. Whether ill feeling really existed between these two Anglo-Saxon nations is doubtful; but whether it did or not, when America urged war in the cause of common humanity, every Englishman in all Great Britain's colonies sympathised heartily with her, and all were prepared to support her in every way and in every part of the world, in the great campaign of civilisation. England had stationed in the bay of Manila seven war vessels, Germany had four, and other nations also were fairly represented. Of all the powers assembled, Germany alone endeavoured to frustrate, embarrass, and make more difficult Admiral Dewey's manceuvres in the Philippine waters. This appears almost incredible when we remember that the two nations were on friendly terms; but Admiral Dewey told me himself that at night the Germans would send their boats from ship to ship. He bore with patience this gross breach of naval etiquette until he found it necessary to prevent the continuance of such discourtesy. On one occasion, he told me, he was compelled to fire across the bows of a German vessel, in order to put a stop to further disobedience of international rules. Admiral Dewey did not forget that when he was in Hong Kong, Prince Henry said that Germany would not permit America to annex the Philippine Islands. It was generally reported in Manila at this time that the Germans were endeavouring to assist the Spaniards. On one occasion, Admiral Dewey, having a certain German vessel between his flagship and another of his vessels, invited the German commander to meet him. At the interview, Admiral Dewey complained of German boats making visits at night, without special permission, to other ships in the harbour, and reminded the German officer that it was by his (the Admiral's) courtesy only, that his vessels were permitted to anchor in this blockaded port; that the action complained of amounted technically to an act of war; and, added Admiral Dewey, "as we are in for it now, it matters little to us whether we fight Spain, or Germany, or the world; and if you desire war, you can have it right here. You need not cable to Berlin, nor need I to Washington; you can just have war here and now." It is needless to say that the German commander, whether he had acted on instructions from Berlin or not, did not desire war then or at any other time; and Admiral Dewey in taking this bold and proper step saved himself all further annoyance and interference at the hands of that German commander. Very shortly after the commencement of the blockade its disastrous effects were felt by the inhabitants of Manila; food became scarce, and prices ruled extremely high. It was rumoured in the city that Admiral Dewey was compelled to refrain from bombarding Manila on account of the shortness of his ammunition; but this, I think, most improbable. I believe, and indeed Admiral Dewey confirmed my belief, that the immunity of the city was due entirely to the forbearance of the Admiral, whose kindness of heart and clearness of purpose has made him so much respected in all parts of the East where he has held command. He told me " he could not fire upon the town and so sacrifice thousands of innocent lives unless it became imperative for him to do so, and so he resorted to gentler means in taking possession of Manila." The European residents were subject to intense anxiety. All were on the shortest possible rations. The British Consul, Mr. Walker, was seized with an illness, owing to lack of proper nutriment, and shortly afterwards died. All through this trying period, Admiral Dewey behaved both kindly and humanely to all the European residents. He assured our consul before his death, that the Americans would not bombard the town without giving the British residents twenty-four hours' notice. The commanders of all English and other foreign vessels, except the German, respected and admired the Admiral, who never failed, when provisions were short, to provide for the needs of all officers on the neighbouring men-of-war ships. Aguinaldo invited to fight for the Americans - Promises of Independence - Proceeds to Cavite on board an American Warship-Negotiations with Aguinaldo - Hon. Edward Spencer Pratt communicates with his Government- His Defence -Quotations from the Temps- Aguinaldo armed by the Americans - His Victorious Campaign -Admiral Dewey's Position-General Merritt's Arrival - His Proclamation Cables between Admiral Dewey and Washington - Aguinaldo's Flag saluted-American Soldiers instructed to salute Filipino Officers-Aguinaldo's Treatment of Prisoners '"
AT the commencement of the war, America declared that it was neither her intention nor her desire to annex the colonies of Spain, nor to extend her interests in the East or West; but that she was compelled to assist and protect a weak and an oppressed people who were being daily tortured and murdered on the very threshold, as it were, of her republic, by the tyrannical, disorganised, and fast-disappearing, government of Spain. Admiral Dewey having regard to these intentions, when at Hong Kong both before and after the declaration of war, and before he sailed for Manila, had to solve the problem of how he could best carry out his instructions to destroy the Spanish fleet and to bring matters to a successful issue in the islands, with the least possible loss of life. Admiral Dewey, although in command of the fleet, had no men whom he could land at Manila, if circumstances required it, and negotiations were consequently commenced between himself and General Aguinaldo, with the view of inducing Aguinaldo to return to Cavite, and there take the command of the insurgent forces against the Spaniards. This policy has recently been condemned in America, and the Hon. Edward Spencer Pratt, American Consul General at Singapore, has been punished for the part he took in carrying out the scheme. 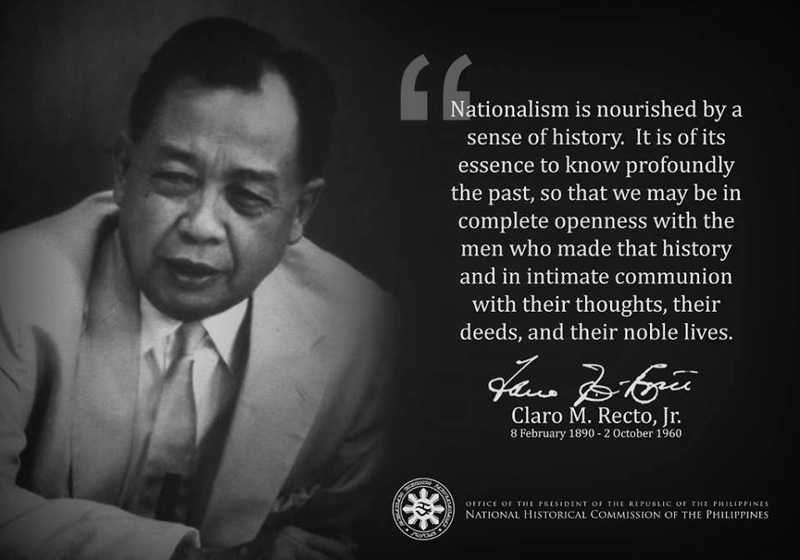 Yet the truth of history shows that the taking of General Aguinaldo to Luzon was a clever strategical move, and would have brought about a peaceful termination of an honourable war, had not the American government changed its policy and abandoned all its previous assurances not to annex or to extend its interests in the East or the West. Before the declaration of war, and while Admiral Dewey was at Hong Kong, and before the Hon. Edward S. Pratt had seen General Aguinaldo, Admiral Dewey "sent one of the captains ashore upon three different occasions to endeavour to make arrangements and terms with the Filipino leaders then residing in Hong Kong. This officer, who was dressed in civilian's clothes, was suspected of being a Spanish spy, and his overtures were rejected by, the Filipinos." I have quoted the above from a small but important pamphlet, "America's Transgressions in the Philippines," written by Mr. A. H. Myers, an American special correspondent, representing many American journals at Shanghai. In consequence of certain statements made in the press at Hong Kong and elsewhere, Mr. Myers went to Manila; he personally investigated them, and discovered that what had been written was true. In the pamphlet to which I have referred, he placed before the European public in the East, the facts of America's transgressions, in order to prevent the Chinese press from giving garbled and exaggerated reports of his people's doings in the Philippines. His statements have never been contradicted or refuted by either the Americans or others in the East, who were aware of the condition of Manila at this time. The Filipino junta at Hong Kong, ever suspicious of the Spanish people, were more so,at this time, on account of a treaty made the year before between the Governor General of the Philippines at Manila, acting for the Spanish government, and General Aguinaldo, acting on behalf of the Filipino people. Under this treaty it was agreed that in consideration of Aguinaldo and forty-two of his leaders withdrawing from the Philippine Islands, they should be paid the sum of eight hundred thousand Mexican dollars (eighty thousand pounds), and that they should have granted to them the concessions they required for the Filipino nation. Four hundred thousand dollars (forty thousand pounds) were paid on the execution of the treaty, two hundred thousand dollars were to be paid in May, i898, and two hundred thousand dollars in August of the same year. Senor Buencamino, one of General Aguinaldo's chief supporters, told me that such trust had they in Aguinaldo's honour and integrity that they desired the money should be deposited in Aguinaldo's own name. He also said that much as Aguinaldo required the money in his self-imposed exile, he did not draw for his own use a single cent of the deposited money. Another reason which induced General Aguinaldo to accept the treaty, was that his soldiers were practically without arms and ammunition, and they therefore could not have carried on the war for any great length of time. They did not expect the Spaniards would fulfil the treaty, and grant the concessions agreed, in which event the money would be forthcoming for the purchase of arms and ammunition which they so much needed. If the concessions were granted as was arranged, the Filipino people would have no further cause for complaint, and the money paid by the Spaniards was to be divided among those patriotic Filipinos whose lands had been seized and confiscated by the Spaniards. It is needless to say that the Spaniards did not fulfil the treaty, nor did they pay the balance of the money agreed. They did not grant the concessions, and, therefore, when the Filipino junta at Hong Kong was approached as above mentioned, they were naturally suspicious because they had then decided to continue the war in the Philippines against the Spaniards as soon as the Americans had completed their campaign. The result of subsequent meetings and negotiations between Admiral Dewey's emissaries and the Filipino junta was that it was decided by the latter to send two representatives, viz., Sefors Sandico and Alejandrino to visit Admiral Dewey on his flagship the Olympia. Mr. A. H. Myers says in his "America's Transgressions in the Philippines":^ " I am informed that Dewey said to them he wanted Aguinaldo and the other Filipinos to go to the Philippine Islands, induce the natives to rise in rebellion against the Spaniards, and cooperate with the American forces to fight Spain. The Filipino representatives stated at the time that they had no arms, and Admiral Dewey replied that the American government would furnish them with all the arms and ammunition that they would require. The question was then asked, 'What will be our reward?' and Dewey replied, 'I have no authority; but there is no doubt if you cooperate with and assist us by fighting the common enemy, that you will be granted your freedom the same as the Cubans will be.'" The Hon. Edward S. Pratt, United States Consul General, was then communicated with at Singapore as to the whereabouts of General Aguinaldo in that town. The Singapore Free Press, dated February 21, 1899, states that "when Mr. Pratt learned through us that General Aguinaldo was in Singapore, he very properly reported the matter to Admiral Dewey, asking for instructions. Admiral Dewey directed Mr. Pratt to invite General Aguinaldo to proceed to Hong Kong to confer with them. General Aguinaldo did so at his own expense. Therein Mr. Pratt did his bare duty to his government." When I had the pleasure of seeing Mr. Pratt in April last at Singapore, he told me that his government had recalled him from his position as United States Consul General, in consequence of the part he took in sending Aguinaldo to the Philippines, and he added: "I did not send General Aguinaldo to Dewey, then Commodore Dewey, until he sent word to me that he wanted Aguinaldo to come. I was in no sense a party to any of the arrangements reputed to have been made between Aguinaldo and the American government or its representatives, and on the departure of Aguinaldo for Hong Kong I duly notified my government of the fact." The American government doubtless found it necessary to cast the blame of subsequent events upon some person in Hong Kong, Singapore, or the Philippines, and the scapegoat chosen was to bear the burden of this vacillation and change of policy. It seems eminently unfair that Mr. Pratt, one of the most intelligent consuls in the American service, and socially one of the most respected men in the East, should have his position taken from him for a mistake which he did not commit. Before injustice such as this is done, and before an innocent government servant is sacrificed, the files of letters and cables both on board the Olympia and at the American consulate at Singapore should be carefully considered and made public for the enlightenment of the American people. At Hong Kong General Aguinaldo was introduced to the representative of Admiral Dewey. The Manila Times of March 20,1899, which could publish nothing that was not approved by the American censor, says in a quotation from the Paris Temps, which inserted a letter from its Manila correspondent: — " It is clear to all of us who live here, European, creoles, and natives, that we are not approaching a peaceful denouement which the surrender of Manila led us to expect, but a situation that threatens to deluge the Philippine archipelago in blood. "'(I) The independence of the Philippines shall be proclaimed. " (I0) The working of the mineral resources of the archipelago will be regulated. "' (i ) To facilitate the development of public wealth, new roads will be opened and the construction of railways encouraged. "' (2) The impediments now placed to the formation of industrial enterprises and the taxes imposed upon foreign capital will be removed. "' (I3) The new government undertakes the duty of maintaining order and preventing any reprisals.'" At that time it is certain that America had no desire to annex the Philippine Islands, and therefore it was but natural Admiral Dewey should promise Aguinaldo, that he would advise his government to grant independence to the Filipino nation. Aguinaldo was clearly led to believe that such advice would be followed without question by the American government, and he therefore went with his followers to Cavite on board the United States warship McCulloch, which was placed at his disposal by Admiral Dewey. Immediately upon his arrival Aguinaldo was hailed by the Filipino nation as its leader and the negotiator for its people's independence. His army was ready to his hand waiting for him to lead it. In these circumstances, Admiral Dewey gave Aguinaldo arms and ammunition. The Filipino general then commenced his campaign against the Spaniards, and drove them from all parts of Cavite and from the interiors of other provinces into the walled city of Manila. Town after town along his line of march fell to this remarkable man. The island of Luzon was swept by the soldiers of Aguinaldo, and all the Spaniards who were not taken prisoners were driven into Manila. Aguinaldo thus cleared the island of Luzon of all Spaniards. Having them practically prisoners in Manila, with the sea and Dewey's fleet to face in the front, and Aguinaldo with his victorious forces in the rear, the Spaniards had to wait the decision of the American government. Dewey received no assistance from America until the 3oth of June, when three thousand men arrived escorted by the United States cruiser Charleston. Although the Admiral had carried out and complied with his instructions on the 1st of May, had Aguinaldo not assisted him and been successful in his campaign the Spaniards would still have been in possession of the island of Luzon, on the arrival of the land forces, and the Americans would have been compelled in taking Manila to destroy one of the finest cities in the Eastern world, to sacrifice the lives of people of all nationalities residing in or near the city, with the sole result of forcing Spaniards into the interior. The Filipino general, in driving the Spaniards into the city from the interior, claims that he thus enabled America to end the war, as there was no other apparent object on her part than the defeat of the Spaniards and the capture of their Eastern capital. He and his followers were most enthusiastic as to the result of their combined action with the Americans. When it was suggested by the less sanguine of the Filipinos that the Americans would not fulfil their promises of independence, their officers joyfully pointed to the city walls of Cavite on which had been posted the order of the day, numbered three, and issued by General Merritt, the then commander of the United States land forces. They said, "this is the corroboration of the promises that have been made to us and the justification of our hopes of future independence." The order referred to is as follows:"The American people do not come here to make war upon any party. It proclaims itself merely the champion, the liberator of people oppressed by a bad government of Spaniards." Thus encouraged by General Merritt, the Filipinos continued their victorious campaign. The results were characterised by Admiral Dewey in his despatches as "wonderful." Rumours of Aguinaldo's successes reached the government at Washington. In the correspondence between Secretary Long and Admiral Dewey, we find on the 26th of May, I898, a despatch cautioning Dewey "from entering into any engagement with the insurgents which would render this government liable to further their cause." This cable was obviously late, inasmuch as Aguinaldo had, as we have seen already, been induced to take up arms in the American cause. Four days later a cable was sent by Dewey announcing a visit of Aguinaldo to the Olympia, and further announcing his intention to attack Manila on the 3Ist of May, I898. In this despatch Dewey expressed some doubt of his ability to succeed. On June 13, 1898, the following cable was sent:"To the Secretary of the Navy, Washington: " Receipt of cablegram May 26th is acknowledged, and I thank the department for the expression of confidence. I have acted according to the spirit of the department's instructions therein from the beginning, and I have entered into no alliance with the insurgents or any faction. This squadron can reduce the defences of Manila at any moment, but it is considered useless until the arrival of sufficient forces to retain possession. DEWEY." What was meant by "the spirit of the department's instructions"? Was it intended to take Aguinaldo to fight the Spaniards in the Philippines for the Americans on certain conditions, and then to discard him with those conditions broken? On June 14th Secretary Long cabled to Dewey:" Report fully any conferences, relations, or cooperations, military or otherwise, which you have had with Aguinaldo, and keep informed the department in that respect." On June 27th Dewey replied:" Receipt of telegram of June IIth acknowledged. Aguinaldo, insurgent leader, with thirteen of his staff arrived May 9th by permission. He established himself at Cavite outside arsenal, under protection of our guns, and organised his army. I have had several conferences with him, generally of a personal nature. Consistently, I have refrained from assisting him in any way with the force under my command, and on several occasions I have declined requests that I should do so, telling him the squadron could not act until the arrival of the United States troops. At the same time I consider insurgents as friends being opposed to a common enemy. He has gone to attend the meeting of insurgent leaders for the purpose of forming a civil government. Aguinaldo has acted independently of the squadron, but has kept me advised of his progress, which has been wonderful. I have allowed him to pass, by water, recruits, arms, and ammunition from the arsenal as he needed. Have advised him frequently to conduct the war humanely, which he has done invariably. My relations with him are cordial, but I am not in his confidence. The United States have not been bound in any way to assist insurgents by any act or promises, and he is not to my knowledge committed to assist us. I believe he expects to capture Manila without any assistance, but doubt ability, they not yet having many guns. ) IN MY OPINION THESE PEOPLE ARE FAR SUPERIOR IN THEIR INTELLIGENCE, AND MORE CAPABLE OF SELF-GOVERNMENT THAN THE NATIVES OF CUBA, AND I AM FAMILIAR WITH BOTH RACES." The ambiguities contained in this cable cannot be passed without some comment. Admiral Dewey, in following "the spirit of the department's instructions," admits that Aguinaldo arrived on May the 9th by permission, but he omits to say " by invitation." This may perhaps be natural, because he knew that Consul General Pratt at Singapore had notified the government at Washington "on the departure of Aguinaldo for Hong Kong," and therefore they knew, or should have known, the conditions under which Aguinaldo had returned to the Philippines. Dewey tells the government "Aguinaldo has established himself, etc., under the protection of our guns." If he were a traitor, to be hunted and condemned, why afford him the protection of American guns and the facilities for landing his "recruits, arms, and ammunition"? Yet Dewey says he had declined to assist him with the squadron until the arrival of the American troops. When Aguinaldo was invited to the Philippines, there was no suggestion that America intended to send troops there, nor did Dewey believe they would be needed. Aguinaldo thought he had the right to demand from Dewey the assistance of his fleet, remembering they had joined hands and forces to destroy the Spanish power, and that he had been employed to do so by American representatives in the East. In one part of Admiral Dewey's cable he informs Secretary Long, " I am not in his confidence "; yet in a previous part he says, "but he has kept me advised of his progress, which is wonderful." The Americans encouraged Aguinaldo, and they continued to encourage him all through his campaign. If after Aguinaldo's arrival in the Philippines, his actions had been opposed to American interests, and if it had been within " the spirit of the department's instructions" to Dewey, to regret the course that had been taken and the promises that had been made, why did not the American government at that time condemn Aguinaldo as "a rebel," as an enemy, and as a man otherwise acting in every way contrary to American instructions and American policy? Secretary Long, on June 14th, merely inquired into the relations which existed between Dewey and Aguinaldo. There can be no question that he was fully aware of every interview that had taken place between the American officer and the Filipino leader. Dewey, in one of his cables, says that America has not been pledged by "any act or promises." Was not America pledged when Aguinaldo, either directly or by implication, was promised the independence of his people if he would return to the Philippines? Was not America pledged when her representative gave arms to Aguinaldo for himself and his followers? Was not America pledged by the fact that he was continuing her war, and was himself conquering her enemy? And, further, was she not pledged by acquiescing in the formation of Aguinaldo's civil government, as evidenced by Dewey's cable to Secretary Long? Was not that the time for the American government to have called upon Aguinaldo to desist from further usurping American rights and powers obtained in and under her conquest of Spain? The American admiral in command of the fleet permitted Aguinaldo to fight the Spaniards both on land and water, and to take from them every steam launch that he could capture; and he was further permitted to take Spanish prisoners and to hold them as such. I have been told by Europeans in Manila that when Aguinaldo passed the Olympia in his launch, there was a mutual salute. Aguinaldo's flag was admittedly the flag of the Filipino republic. No instructions were given to him to lower it and to hoist in its stead the American stars and stripes; on the contrary, the Filipino flag was recognised and respected not only by the Americans, but also by all the foreign navies then anchored in the bay. The Filipinos were authorised to send their launches and small boats into Subig Bay, to attack the town of Subig. There they were met by the German warship Irene, whose commander forbade them to attack, and, if they failed to obey, threatened to fire upon them. The Filipinos returned to Dewey, informing him of what had taken place, and he sent to assist them in the taking of Subig the U.S.S. Raleigh and Concord, the commanders of which were instructed to take the town and leave it in the hands of the Filipinos. Two shells were fired by these warships, and the white flag was quickly shown. The town surrendered conditionally upon its not being left to the mercy of Aguinaldo and his army. The commanders of the Raleigh and Concord returned to Admiral Dewey for further instructions, and they were told "to obey orders." The Filipinos were then permitted to take Subig, with its prisoners, its arms, and its ammunition. Was not America by this act pledged to the Filipino people and to their cause? Admiral Dewey on the 27th of June was of the opinion, and I believe is still, that these deceived Filipinos were, and are, entitled to the liberty and independence for which they have fought so bravely and so long, and which they have so richly earned. In his cable, he recommends the Filipinos as men worthy of the rights of men, capable and fitted to govern and to control their affairs. The Cabinet at Washington should alone bear the shame of their policy of aggression and deception. These bureaucrats believed they could form a better opinion of the abilities of the Filipino race than Admiral Dewey with all his experience, local knowledge, and observation. Had the affairs of the Philippines been left by the officials at Washington in the hands of this very able and honourable man, the question now in dispute would long since have been settled without American loss of life or prestige. Aguinaldo has been much abused for the treatment of his prisoners. He has been charged with having committed every form of atrocity and cruelty; but those who have known him, his generals, and his people, know such accusations to be absolutely without foundation.